If you have been to the cinema lately you may have seen a trailer for the new Dreamworks film. Home. In short, some aliens called Boov come to earth hide from their enemies, to make it their new home. Home : Boov Pop! is based on the animation, and we were given an early preview. Home : Boov Pop has been developed and published by Behaviour Interactive and is exclusively available in the App Store now. An Android version is set to follow soon. The game has in-app purchases, something you’re warned about immediately, which I appreciated as they’re often hidden away. I’ve had a play with H, we tried to load it up on her 1st Gen iPad, but it won’t work – so it’s on my mini. The game is free, so you wouldn’t be out of pocket, mind and it doesn’t take up a lot of space. Each level has coloured balloons you have to pop, and you’re set a target on each level. Combinations of balloons can help improve your score, and you aren’t limited to a grid – if you can make a circle, go for it. You may find obstacles along the way to make it a bit trickier. I’ve been playing ‘Frozen – Free Fall’ for the last year, which follows a similar path – and the fact I’ve played for so long makes me think that Home : Boov Pop will be one we’ll be using a long time too. There are obstacles in the way, rainbow balloons so you can change colour, and most importantly of all, things which H wants to play (she wasn’t keen on the Frozen game). The animation ‘Home’ is based on the book ‘The True Meaning of Smekday’ which we don’t own, though reading about it I think it’s around H’s reading level and we’ll be investigating further. We’ve only had a short preview on Home : Boov Pop, so we’re not very high level-wise, it’s straightforward, fun, colourful and full of praise at the end of each level. I remember from the Home trailer how they travel around the world, and from pictures I’ve seen the game has elements of this in there – right now I’d say give it a go! It’s free, disable the add-on’s and enjoy! Home’s Official Website – it’s out in cinemas from March 27th 2015. We were provided with a code which gave us a one-day preview of the game. All opinions are our own. Parents Nearby is a new free app to help you meet other parents, hopefully with similar interests. I’m interested in the app, and always wanting to make friends. This sounds ideal for me – I had to give it a go. Before H was born we signed up and did NCT classes – mainly for the social aspect. A lot of people sign up with the NCT and have friends for life. A lot of people have a great social network from postnatal classes. 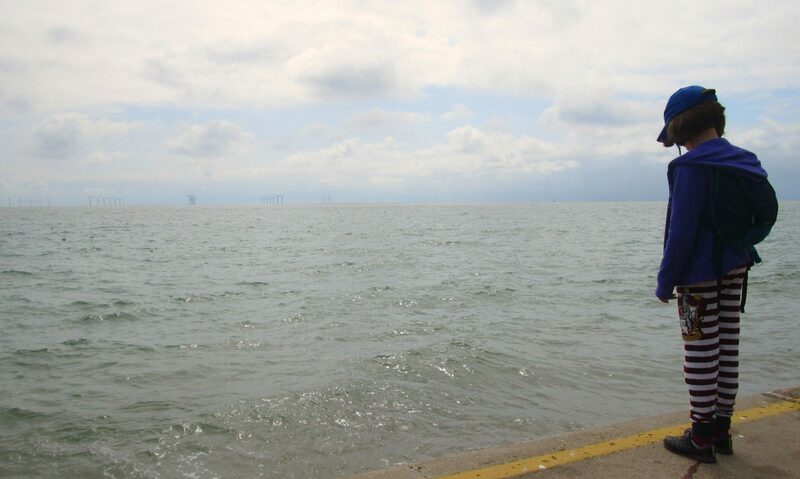 I would honestly say, for H’s first two years of life I had an amazing social network – NCT friends who would meet weekly and other mums I’d see on regular occasions too; however, these days I only see one of our NCT group. These days my social circle has shrunk quite a lot. I have my regular knitting meet up every month, and I have occasional social evenings with my mum friends which is great, but I would love to meet like-minded people, as often the one thing you have in common is your children but nothing else. Parents Nearby makes this much easier. Thomas Souza created the app after spending a year as a Stay at Home dad, to help people with similar interests find each other. You can connect your Facebook or LinkedIn profiles to the app, and from that information it will let you know about other parents in the area – who have also signed up. I’m shy. I’m terrible at making the first move to meet someone and had to get out of my comfort zone when I’ve met other mums in the past. But I plucked up the courage and signed up – one of the first people I saw was my friend Leanne! So that was nice, as when you know someone it makes things easier. My next step is to contact someone, to make friends and broaden our social circle. I’ve often found London a big, unfriendly place and know it is somewhere that I’m terrified of being alone. Apps like Parents Nearby are doing something about it – if you are struggling to make friends too, this may be the answer. Don’t take my word for it – here’s some feedback from other users. You can download Parents Nearby for free, it is available at the App store, and at the Google Play store. I highly recommend. It has a really simple user interface and works well. Parents Nearby website can be found here. P2 Games have released a new title just in time for Christmas from their Sing and Play range. This time it’s Jingle Bells, and if you’ve tried their Wheels on the Bus app which we reviewed earlier this year, you’ll know what to expect. It’s a really bright colourful play along game which teaches your child how to play it really simply on a keyboard. The Jingle Bells app is available now at the App Store, and follows the familiar pattern all P2 games have – sections to complete and sticker rewards which you can place on a themed picture. This is still very much up H’s street so she got on with it straight away, and was playing Jingle Bells fairly quickly too. Each note is highlighted on the keyboard, so the child just needs to press it. I think H still has a bit of time before she’ll work out what she’s playing as the tune, but she’s getting there and enjoys it. Jigsaw puzzles – Based on 4 different seasonal songs – ‘Jingle Bells, ‘We Wish You a Merry Christmas’, ‘Silent Night’ and ‘Ding Dong Merrily on High’. Once completed, children will watch in wonder as the pictures come to life, allowing them to play with everything they can see. Playable keyboard – Let’s make music! Children can learn and practice the Jingle Bells song, as well as have fun with the freeplay activity on the keyboard, experimenting with different funny silly sounds! Colouring activity – Get creative with different brushes and tools! Use them to colour and decorate a Christmas scene, each based on a different Christmas classic. Animated sticker soundboard – Children can earn stickers throughout game-play as rewards, which then unlock in this sticker activity. The Sing and Play Jingle Bells app is available now in the App Store for just £1.49 – if you’re looking for a last minute present and can’t face going out in the awful weather right now, this is a good choice. This game is targeted at under 5’s. We received a code to review this app, all opinions are our own. The link is an affiliate one. The popular Cbeebies show Woolly and Tig has an app available now! We’ve been trying it out for a few weeks now, so read on to find out what we think. Woolly and Tig are on Cbeebies, and each show is based around normal activities your child may experience – there’s a list of the episodes here so you get an idea. Tig is a three year old girl, and Woolly is her toy spider. The game is based around Woolly with the intention of making everyday activities fun. At the start of the game there are various things you need to get Woolly to do, from rolling over to cuddling, as well as some counting. This is achieved by doing the correct finger movements, and there’s plenty of prompts. After that there’s the various options within the Woolly and Tig app, which can be accessed in two ways – via the parental section where you can schedule them, or just as a free play option. The options are : Getting dressed, brush my teeth, wash my face, fun in the rain, fun in the sun, fun in the snow. They’re all simple straightforward sections where you can earn a medal. Within the parental section you can set up the scheduler so it helps remind your child to do something, so a morning play might involve cleaning teeth until they’re squeaky clean (this amuses H) and getting dressed. I feel H is at the higher age range for this app, and she did enjoy playing it a lot; the target age is from 3-6 year olds. It’s also worth pointing out it worked fine on the iPad Mini, and mostly worked on our first generation iPad too. We were reimbursed the cost of the Woolly and Tig app for the purpose of review and sent a lovely goody bag – thank you! The link is an affiliate one. Portable North Pole is back for 2013 – and this year there’s also an app – Santa Sprint. We were given a code to give it a go. 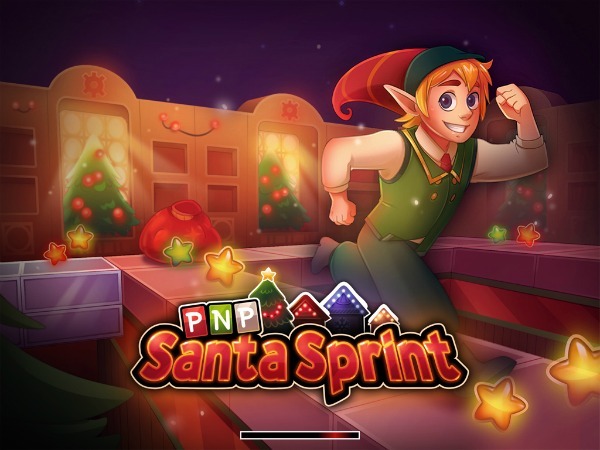 Santa Sprint is a new game from the people behind Portable North Pole. I think we’re right on the borderline for this game and it’s something H will really enjoy very soon, but she isn’t quite there. She was a bit upset about the ‘flame’ type characters which drain your energy levels (the area at the top where there’s a heart), which made her burst into tears! So I’ve taken it over and am finding it fun – and a break from Plants vs Zombies 2. Santa Sprint is straightforward enough – and once you clear a floor you get a special treat from Santa (we’ve had a story which H enjoyed). At the end of each level, if you have enough coins you can update your clothes, magic, heat, agility and you have an option to buy double points. You have three options for a Second Chance, and if you want any more then you guessed it – you have to buy them. I found higher levels there was sometimes a delay in loading, but I put that down to my iPad Mini rather than the game – I have no other devices I can try it on, as it isn’t compatible with our first generation iPad. Santa Sprint is fun, probably not one for younger kids, and has in-app purchases which I’ve switched off. You can buy it now at the App Store for £1.99. We were sent a code to review Santa Sprint, all opinions are our own. Julia Donaldson has written some brilliant books, most of them our favourites. Today saw the release of the Room on the Broom app at the App Store, a fabulous choice of games which bring the characters from the book to life. The Room on the Broom app keeps the spirit of the book, and with H learning phonics and how to spell at school now, this is a fun way to help expand her learning. There are a few games on this app though I wish there was an option for the words to be read out – fortunately H worked most of them out anyway, but if she’d had some guidance from the game (yes, I understand I’m the one who is meant to guide her) I think that would be a great addition. Within each game you can play with the Witch, Cat, Dog, Bird, Frog and Dragon. Join the stars – A join the dots on a broom, you fly through the air and connect all the sparkly stars then once they’re joined work out which image it looks like. Find the hat – The Witch has lost her hat! Is it behind the tree? Help Dog find the hat in the very familiar looking woods. Find the bow – The Witch has lost her bow! This game is identical to the ‘find the hat’ game – if you liked that you’ll love this! Find the wand – The Witch has lost her wand! Same as the previous two games, plenty of fun and challenges to find it in less than a certain number. Drawing with stars – You have a set number of stars in the cauldron to make a picture. Tap the witch when you’re done and she’ll fly your pattern – like your own home-made dot to dot! Dragon loves chips – The Dragon wants Witch and Chips for tea and you need to help him. Choose the wrong food and he’ll let you know – he’ll have to make do with dragon chips, but that’s okay. Fly the magnificent broom – You’re on the broom, assembling the letters of the chosen word – direct the broom up or down to get the correct letters and get the empty letter space to touch the letter to add it. Once one word is complete you get to start a new one. The Room on the Broom app requires iOS6 and upwards. The game is lots of fun, there’s plenty to do and it’s keeping H’s attention which is key for me – and she’s learning (especially on the last game). The illustrations are true to the book which makes it even better! The Room on the Broom App is recommended for ages 3-7 and is available now at the App Store. We were provided with a code to review this app, all opinions are our own. Daddy Pig’s Puddle Jump is a new app from P2 games, and the latest in the Peppa Pig series. Daddy Pig’s Puddle Jump is a little bit different to previous games, and in a good way. There are fifteen levels of play, and it is set out in a similar way to games such as Angry Birds, where there are different levels, and depending on how well you clear each level, you get a number of muddy splats – from 1 to 3. There is an option to play as a one player or two player game, and you get to choose between Peppa Pig, George Pig or Daddy Pig to play. The aim of the game is to get as muddy as possible by the end – and the best jumps are the ones which clear the obstacles in the way. -There are no in-app purchases, so you’re not likely to find your child is buying random extras like some games we’ve tried. -It’s fun – it’s all about fine motor skills, to control your character you tap them to make them jump, so having good reflexes and knowing when to do it is all good learning for H.
-Each level is a little more difficult than the previous one – but not so they’re impossible. It’s very repetitive, but H likes repetition at the moment so that isn’t a problem with us. Bear this in mind with your child if they aren’t into this. -I think the repetition could put people off, but as H tends to like that kind of thing it isn’t an issue for us. -If you choose a different character you still play the same game where you’re up to – it isn’t like other Peppa games which have three different games saved in your name. Daddy Pig’s Puddle Jump is available now at the App Store for £1.49. It is compatible for iPad, iPod Touch and iPhone. For more fun Peppa Pig activities visit www.peppapig.com or join the Facebook page for all the latest Peppa Pig news and competitions at www.facebook.com/OfficialPeppaPig. We were sent a code to try out Daddy Pig’s Puddle Jump, all opinions are our own. H has always felt like Mister Maker is one of her friends after she met him at the Brighton Baby Show a couple of years ago. The opportunity to try out the Mister Maker App ‘Let’s Make It’ was one I couldn’t turn down! Mister Maker is a Cbeebies favourite, and P2 Entertainment have devised an app based around his activities. H has been having a play with it when we’ve had chill out time, and is enjoying it a lot so far. Budding artists can create unlimited pictures with nearly 400 different art materials from the digital Doodle Drawers. This includes patterns, stickers, things to glue and funny faces. You can then design a frame for your masterpiece by experimenting further with items from the Doodle Drawers and personalise your creation by typing a special message. Families can show off their art skills by taking part in the popular Minute Make challenges by choosing and completing items from two different themes: Nature and Underwater World. Children can have fun with Mister Maker’s friends ‘The Shapes’ in a brand new multi-level interactive shape finding game. We found Mister Maker pops up quite a lot in this one, we had to tell him to be quiet…! Throughout gameplay, kids can unlock a variety of materials for the Doodle Drawers as special reward content. The game has up to four users with their own photo album and they can choose to email their favourite creations to the Mister Maker Gallery on the P2 website to be in with a chance of winning monthly prizes. The app also allows children to take a picture using the camera function and then enhance their real world creation in Doodle Drawers or Frame It! We’ve been playing this on our older iPad, so for the purpose of review I’ve also put it onto the iPad Mini where we can take photos and make silly faces with them, and H is really loving putting silly things on Daddy’s face. In turn I’m enjoying her creativity, and what she’s turned daddy into! This would be even better if you could use existing photos and add those to the gallery to edit them, rather than having to take new ones. Essentially it’s like having all the elements of crafts you’ll find in the Mister Maker show within an app; craft without the mess and ideal if you’re travelling and don’t want the mess. You can ‘glue’ things onto the picture you’re creating, and sprinkle various things onto it, glitter and so on. It’s pretty good and one that will help with fine motor skills. There’s so much to do in this app that even after the short time we’ve had it I feel like there’s a lot more we can do – it definitely feels like something which will grow with H rather than being bored of it after a few months. Mister Maker – Let’s Make It is available now at the App Store for £2.99. We received a promo code for the purpose of review, all opinions are our own and honest. So following on from our previous post, we’ve been playing with the Jump Up and Join In (JUJI) app for kids that we previewed at Egmont’s offices. It is based on the Lion’s Speedy Sauce book which we’ll be reviewing soon. The app is very straightforward and uncomplicated. While H isn’t reading properly yet she can work out words and knew which sections she wanted to go to – the colours are bright and colourful and really appealing – and they have good fonts! That place would be her favourite section – the song – and has so far made about ten different videos of herself dancing with Carrie and David while singing the Speedy Sauce song (which we then did a recording of ourselves and she knew all the words to) – she’s picked it up quickly! You can choose various costume combinations to wear as well as adding a picture of yourself and changing the background. The app has several areas where you can enter the game – if you read the story you occasionally get the JUJI logo which takes you to other interactive parts of the game (and while you’re in each section the characters all have little things they do if you touch them too which H really likes) – so far she’s fascinated with making videos and singing (future pop star in the making maybe?). What I like about the app is the various ways you can play – and it’s making learning fun. She likes reading the story ‘Lion’s Speedy Sauce’ plus there’s a section where you can play along with bongos, repeating patterns or with keys repeating the tunes – Lion’s Speedy Sauce is all about rhythm which I think she’ll benefit from. That and both songs so far are incredibly catchy – you’ll end up singing them yourself, let alone your child. If this app proves to be successful, hopefully other books in the series will be added, which is great. We’re finding it lots of fun, although dragging H away from making videos of herself is proving difficult! We received a code to review this, all opinions are our own. The iTunes link is an affiliate link.